We are grateful to Forbes Magazine for this article. Technology continues to dominate much of our daily lives, and Silicon Valley companies are thought to hold some of the greatest minds and innovators of our time. But where is the female equivalent of Steve Jobs or Mark Zuckerberg? The STEM fields—science, technology, engineering, and mathematics—have always had a woman problem. Men tend to dominate in the tech industry, and for women, the numbers aren’t growing. A 2011 report by the U.S. Department of Commerce found only one in seven engineers is female. Additionally, women have seen no employment growth in STEM jobs since 2000. No matter where you turn, the stats are grim. Today, women hold only 27 percent of all computer science jobs, and that number isn’t growing. This is unsurprising when we take into account how many women are actually studying computer science in college; less than 20 percent of bachelor’s degrees in computer science go to women, even though female graduates hold 60 percent of all bachelor’s degrees. As women continue to make strides in fields like law and medicine, the gap in the tech industry has many wondering exactly what the culprit is. 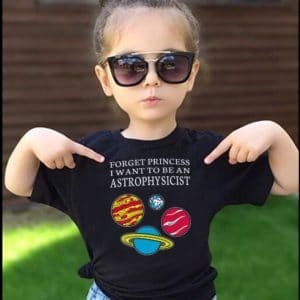 Many chalk up the difference to a lack of female role models in STEM fields to begin with. It’s a vicious cycle, says Jocelyn Goldfein, a director of engineering at Facebook. “The reason there aren’t more women computer scientists is because there aren’t more women computer scientists,” she told the Associated Press. The problem starts as early as grade school. Young girls are rarely encouraged to pursue math and science, which is problematic considering studies show a lack of belief in intellectual growth can actually inhibit it. In addition, there exists an unconscious bias that science and math are typically “male” fields while humanities and arts are primarily “female” fields, and these stereotypes further inhibit girls’ likelihood of cultivating an interest in math and science. Popular culture plays a role, as well. Girls grow up seeing women in powerful positions as doctors and lawyers on TV, but the media continues to promote stereotypes when it comes to programmers, often portraying them as geeky men. 1. Create programs that will encourage women to study tech. Many women are reluctant to study STEM fields because they think the boys have all the experience, and they’ll look silly when placed in classes with them. But some colleges are creating programs to lure in female software engineers. Administrators at Harvey Mudd College allow their students to choose between two beginner programming courses—“gold” for those with no prior experience, and “black” for those who have it. College programs that divide students by experience level will help to alleviate fears of women who are inexperienced in tech and thus less likely to pursue it. 2. Rework the K-12 curriculum. An interest in science and technology needs to be cultivated at a young age, but many women are standing on the sidelines as the boys participate in science fairs. K-12 educators should work to encourage young girls to pursue opportunities in STEM by offering more hands-on workshops for girls to learn about science and technology. Schools should also consider bringing female engineers to talk to students about their profession and reach out to young girls. 3. Combat stereotypes. Female engineers are the brains behind a number of Facebook’s features, such as the news feed and the photo viewer. If more women knew this, perhaps they’d be empowered to jump into the field themselves. We need more visibility when it comes to the work female engineers have already accomplished, so young girls know it’s not just men who are behind technology they use in their everyday lives. These approaches will help to encourage female participation in the STEM fields from a young age, but they aren’t hard-and-fast solutions. Although achieving gender equality can’t be done overnight, what we can do is dedicate ourselves to changing the norms and stereotypes that inhibit women from tapping into their true potential. What are some solutions you’d offer for encouraging women to pursue careers in technology?